– The Mighty Tamron Has Arrived. 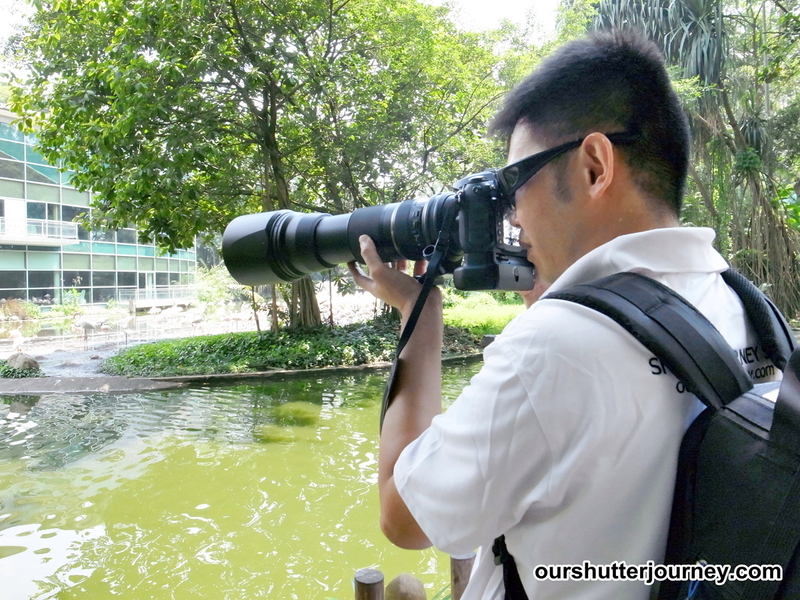 03rd October 2014, Singapore – Tamron’s latest lens – the mighty SP 150-600mm F/5-6.3 Di VC USD is set to win more fans. It is not too difficult for one to see that Tamron is taking photographers’ needs seriously, like in the case of the recent Tamron 16-300mm superzoom lens, or the earlier 24-70mm, Tamron is moving away from “the alternative lens” and re-branding itself – not by means of heavy marketing, but by using quality optics and solid lens build to reclassify itself. Anyone who has been in photography long enough will know that Tamron has come a long way. From an OEM lens manufacturer with ISO 9001 certification to launching & marketing its own lenses – and constantly updating its lens lineup, Tamron is one brand to watch. The new SP 150-600mm F/5-6.3 Di VC USD is the latest proof that Tamron is here to stay. Launched as the super telephoto zoom lens for the serious hobbyists or the advanced photographers, this lens is also targeting at professional photographers who needs a more manageable sized lens that are practical and produces quality images. This lens is not a huge load to start with, at 1951gm, this lens is suitable for handheld shooting without breaking your arm. I took this lens out for a day to the local bird park and and I am glad to share that my arms survived the weight of the lens without any pods. Photo: Yes, that’s me. And Yes, that’s the New Tamron 150-600mm. 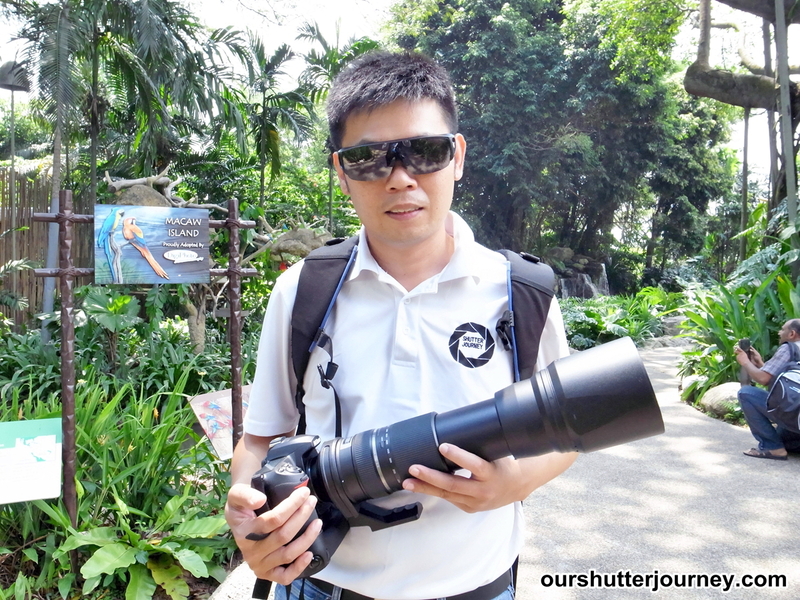 Using this lens for an afternoon at the bird park last week was indeed a joy. Let me share why. 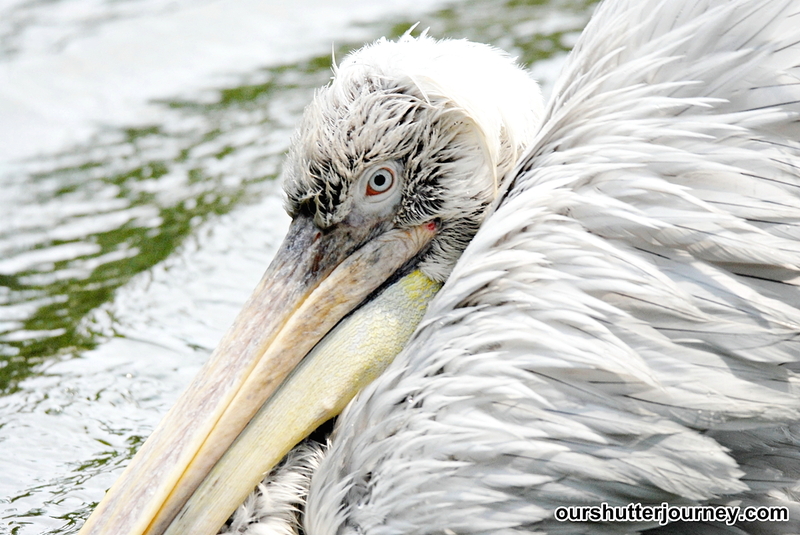 I purposely chose an APS-C camera for this review so that I actually get 225mm to 900mm after the crop factoring on my APS-C camera sensor (or 35mm equivalent) and that allows me to shoot really “close” to the birds at the park. 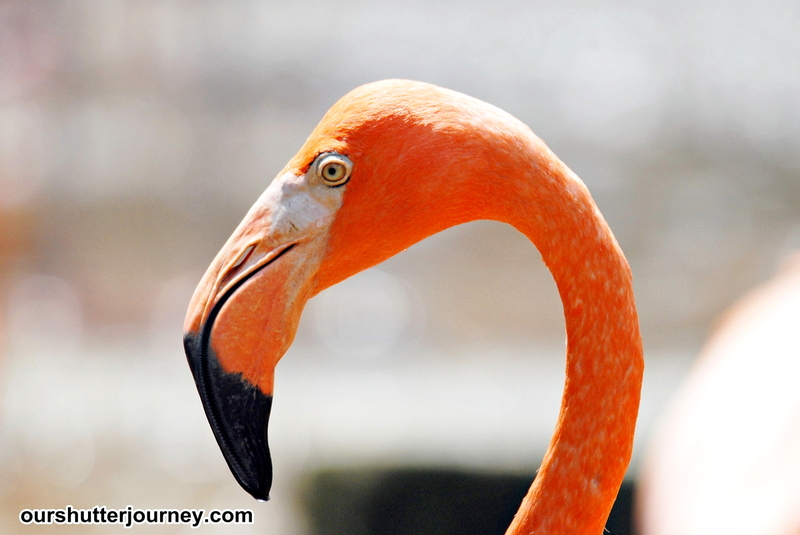 Birds are sensitive animal and they are particularly wary (or defensive) when someone walks near to them or within their sight. So having a super long focal range like the 600mm (900mm) actually allows me to shoot these birds from far and without having to disturb the birds or risk putting them on alert mode. Although many birding photographers will swear by their “F2.8”, I found the Tamron’s aperture F5-6.3 very useable and should I say, sensible. 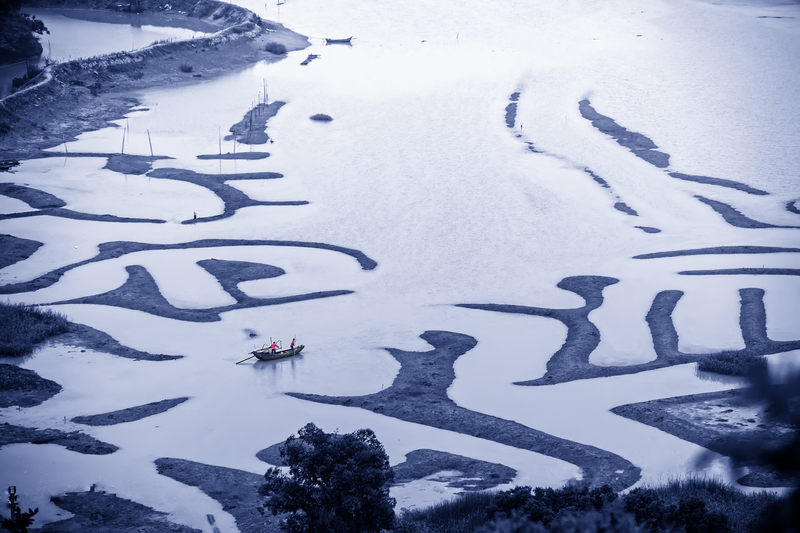 Under the typical sun, F5-6.3 is considered “bright” and it is enough to be used with today’s DSLRs which comes with better ISO performance and that sort of allow the photographer to shoot at fast speed, fast enough to freeze subjects and still creates a beautiful background blur. Many photographers will tell you that you need to have a super wide aperture to create background blur (bokeh), but many actually forgot the other way is to use the DOF, like in the case of long lenses, your distance to subject is far, you can still get nice creamy background blur – just like all the photo examples here. Photo: Check out the amount of details presented here. Shot at the longest 600mm end. 1/1000, F11, ISO800. The 150-600mm may be a super telephoto zoom lens, but I like the fact that the minimum focusing distance is only a mere 2.7 m which essentially allows the user to double up the lens as a tele-portrait lens at the 150-200mm range. This lens is not just about covering focal range for those who are probably thinking what’s inside the lens. Tamron has a newly designed optics that comes in a whopping 20 elements in 13 groups. Featuring three units of Tamron’s “goodie” LD Glass (Low Dispersion), users can be assured of quality images free from your usual distortions and discolorations which is typical with super telephoto zoom lenses. Designed as 9-blader, the round blades creates beautiful and creamy background blur even at small apertures. And all these are incorporated nicely into a lens build size of 258mm x 106mm, a very manageable size to carry around – in your bag or in your hands. Photo: 200mm. 1/1000, F11, ISO800. Photo: 200mm. 1/1000, F16, ISO1600. Photo: Hand held shooting with the new Tamron 150-600mm is easy. Tamron’s proprietary Vibration Control (VC) works really well and fast. 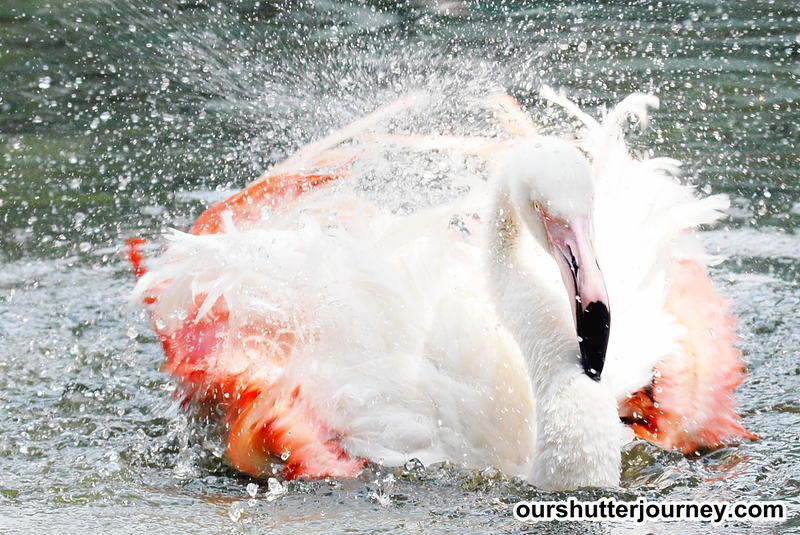 When I was shooting at the bird park, most of the time these lovely birds are constantly moving at varying speeds so with the lens’ built in VC, it helped a lot in reducing blur shots and I can even track-pan the subject effortlessly knowing that I am being “compensated” by the VC by about 4 stops of speed. The autofocus (AF) is noted as very fast and accurate while I was shooting with it. The focus lock-on is amazingly fast & accurate and the other point to note about this lens, it is so quiet that you can barely here the lens focusing. This is excellent especially if you are shooting a lot in nature where the slightest noise gets picked up by wild life. Photo: 200mm. 1/800, F14, ISO400. Since most wildlife photographers crop their photos, let’s check out the image shot the new Tamron 150-600mm after cropping. 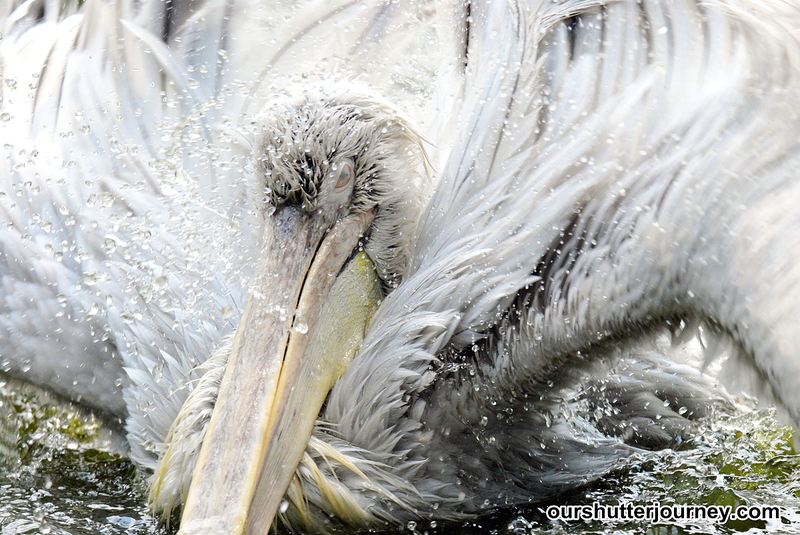 Below is a shot of a pelican whip-splashing water to cool itself down on a hot afternoon. I decided to do a 80% crop on the head. The Red Box is what I am going to crop out. See below for the cropped image. Not bad. 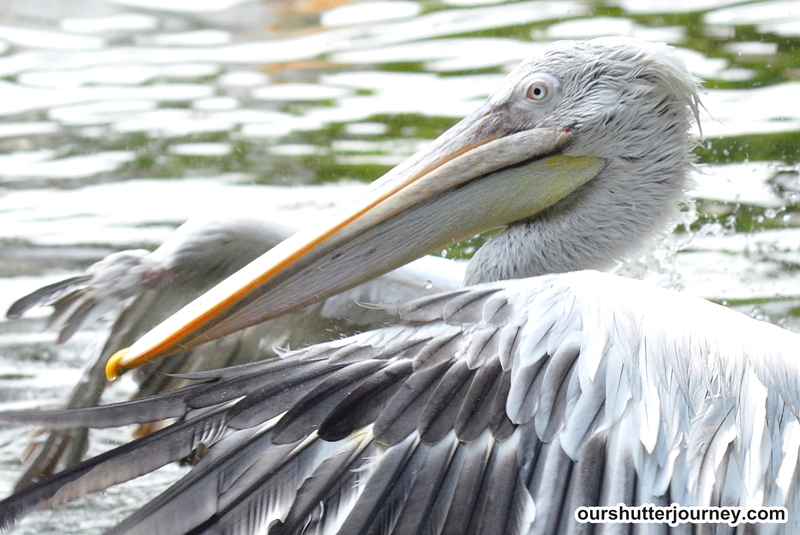 At 20% of the image’s original size, I am still able to see most of the details of this pelican. Next 2 photo is based on the original photo and followed by a 50% crop. Apparently after cropping 50%, the image retains all the details very clearly. There is no visible distortion, CA etc which some telephoto lenses suffers so badly with. At this point, I am already sold with the new Tamron 150-600mm. On handling, the large and grippy zoom ring & focusing ring are very smooth during operation and very comfortable to hold. Most users will feel that the weight of the lens are positioned to the front lens element away from the body, this is really a clever way to make the lens feels balanced and not that heavy after you mounted it on a DSLR. The front of the lens accepts 95mm screw on filters and if you are going to put one there, the weight of the 95mm filter will add a couple more grams to it. The barrel are made from a solid & sturdy composite material which seems to handle the outdoor heat pretty well. Holding the 150-600mm makes me feel like I am holding the Canon EF28-300mm L – yes, it is that solid! 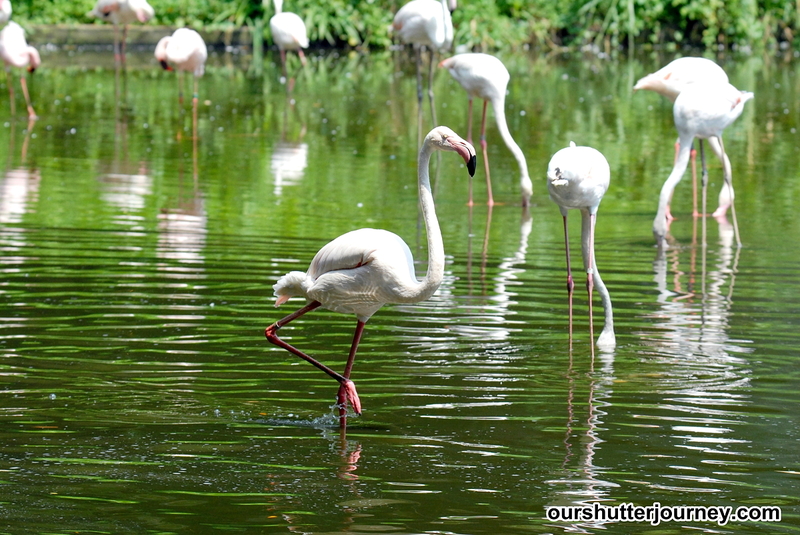 Photo: These guys are not shy, but when I am within 30 meters of their feeding pan, they all stopped feeding & looked up. I slowly held up my camera and shot this. 500mm. 1/500, F8, ISO640. In summary, the NEW 2014 Tamron SP 150-600mm F/5-6.3 Di VC USD is a great super telephoto zoom lens that are practical and very much affordable than its equivalents with wider apertures. As mentioned, given today’s crop of DSLRs, high ISO is no longer an issue so that actually eliminated the problem of not having enough light thus allowing the user to shoot at higher shutter speed. The lens is well-built and designed, certainly purposeful and practical. I feel that the lens can take a few levels of abuse too (giggling). The images that were produced are excellent and rendered with very minimum distortions or ghostings while producing contrasty and photos with really nice colors. If you are thinking to invest into your first real super telephoto zoom lens, look no further, the Tamron SP 150-600mm F/5-6.3 Di VC USD is certainly a good buy if not, a good investment. 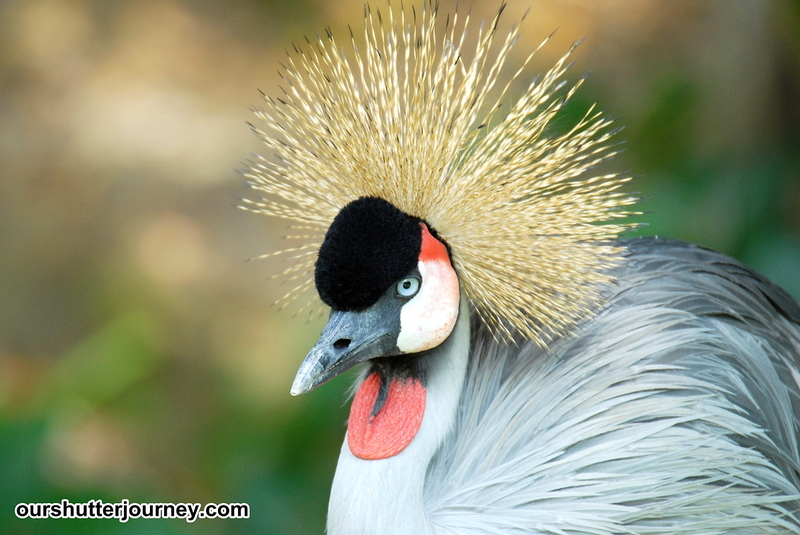 Photo: The Tamron 150-600mm is really a joy to use. To find out more about this lens, click here. To buy this lens from Tamron Singapore’s appointed dealers, click here. 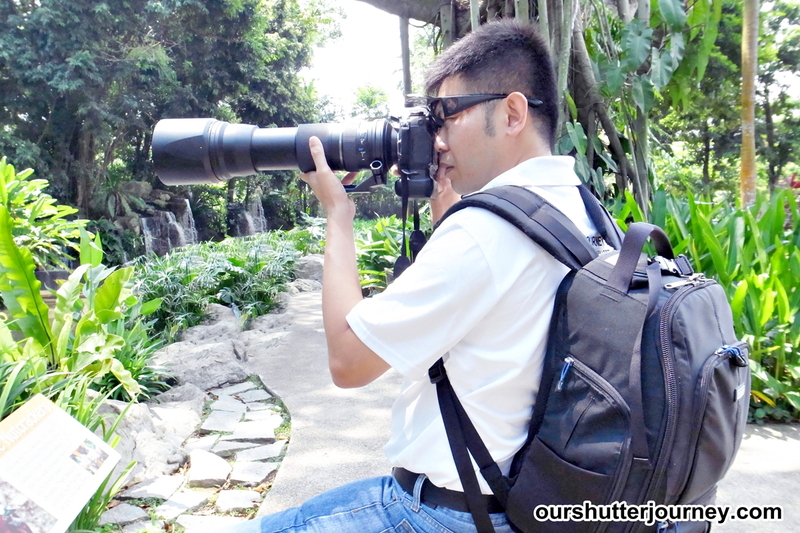 To buy this lens from Ourshutterjourney.com dealers, click here. – Tamron Singapore (GSH Corporation) for the lenses. Tamron Singapore (GSH Corporation (Far East) Pte Ltd) are committed to provide the best prices and after-sales service to all consumers and that is reflected in our commitment of a 5 years warranty. There are always greater benefits and extra savings when you purchase a Tamron lens, buy with a peace of mind, use with a peace of mind. This entry was posted in Brand: Tamron, Group Test & Reviews, Photography Articles & Videos, Uncategorized and tagged 150-600mm, Photography, Photography Reviews, Tamron. Bookmark the permalink.